We are a group of film enthusiasts that was formed in 2012, shortly after we finished a film course at the VHS in Munich, Germany. We made a short film during the course and enjoyed it so much, that we decided to continue making films and multimedia content. 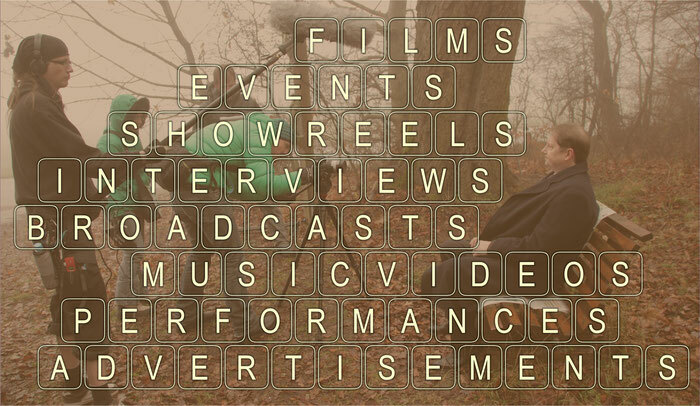 Over the past four years, we have produced a couple of short films, music videos, advertisements, documentaries, ballet performance DVDs, various "About Me" Showreel videos and we are currently producing yet another short film, to be released in 2019. Quasi-Fictional love telling stories in a captivating manner and we are constantly learning how to do this in more creative ways. Do you want to create multimedia content, but you don't have the equipment, experience or time to do it yourself? We could help you out! Just get in contact with us, describe your requirements and we'll get back to you with a proposal. "Creative thinking inspires great ideas, attracts talented individuals, encourages personal growth, generates meaningful content and ultimately rewards you with success!" Greetings from down under! This year has been full of surprises... I got the opportunity to try out life in Australia and after months of preparation and some hiccups along the way, I have finally arrived. "The Incident - Playing the Hero" has understandably slipped down a few places on my priority list, but I hope to settle soon and continue editing this promising short film! An early Happy 2017 to everyone!!! This year is kicking off with a huge highlight, as we'll start shooting "The Incident - Playing the Hero", on the 6th of January. It is crazy how many things still need to be arranged, but we are getting a lot of help from very competent people. Thanks everyone for the long hours that you've already put into the pre-production of this project. We'll be posting behind-the-scene pictures and videos regularly on our Facebook page, so you can get a glimpse of the effort it takes to make an indie film. Thanks to everyone who could join the first production meeting last week. It was very nice to introduce everyone and work on the production details. There is so much work still to be done before we start shooting next month! We will be shooting most of our indoor scenes at the lovely Schloss Moerlbach, close to Starnbergersee. Congratulations to the three leading actors that have been chosen to act in our new short film "The Incident"! Please visit our Facebook page for more information. Thank you so much to everyone who came to audition for our upcoming film "The Incident". It was a pleasure to meet all of you and we were highly impressed by the level of acting we saw. We will announce the leading actors on the weekend. Best of luck! The date is set for the second round of auditions for our upcoming film "The Incident". Looking forward to meeting some very talented actors and actresses. Our new website is under construction... We will go live soon. We've had the first auditions for our new film "The Incident - Playing the Hero" this weekend. Thanks to all the actors and actresses who made it. There will be another audition mid-November. Quasi-Fictional © 2017 All Rights Reserved.